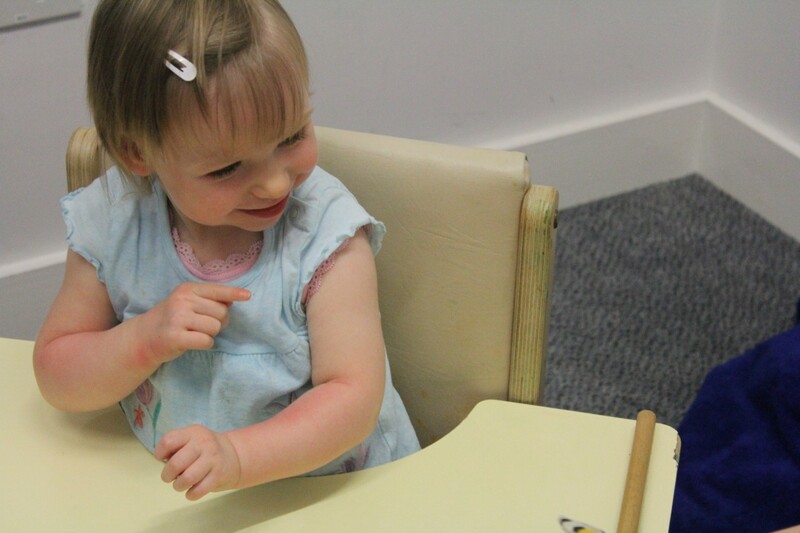 Leah had an obvious lack of awareness of her left upper limb which limited her access to bimanual play. There was evidence of developmental disregard and a lack of sensory awareness throughout her left upper limb. 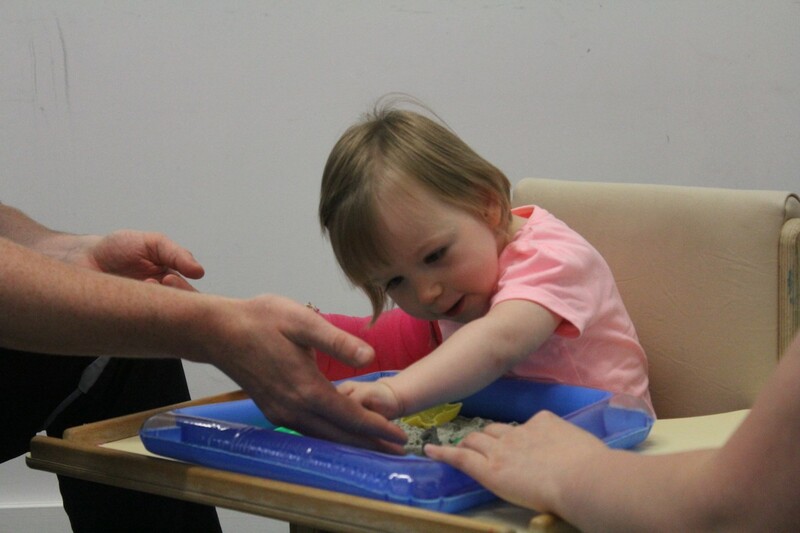 During the 4 weeks therapist worked with Leah to increase sensory and motor awareness which enabled Leah to include her left upper limb in play. To increase awareness of Leah’s upper limb. 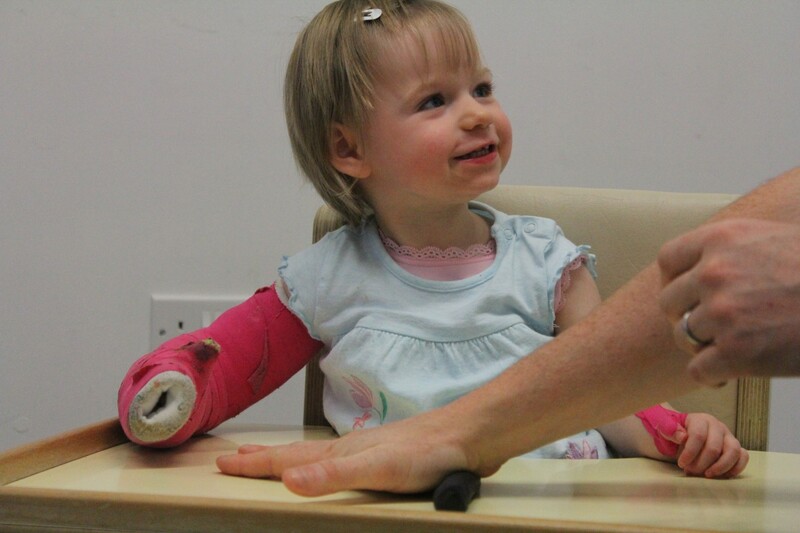 To increase the sensory awareness in Leah’s left upper limb. To improve overall strength in Leah’s upper limb. To give Leah the ability grasp an object. "Leah has had a great amount of sensory play, increasing feeling in her hand"
"Leah has now more awareness that her hand exists!" 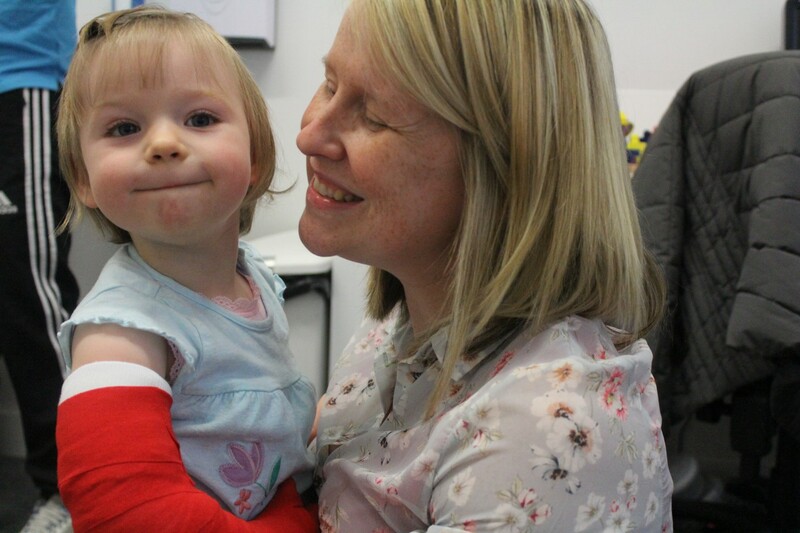 Leah wore the cast for 24 hours a day for 4 weeks which increased her overall awareness and spontaneous use of her left upper limb. This allowed for new pathways to be formed for sensory and motor feedback resulting in a larger area of the brain becoming active for these specific areas. 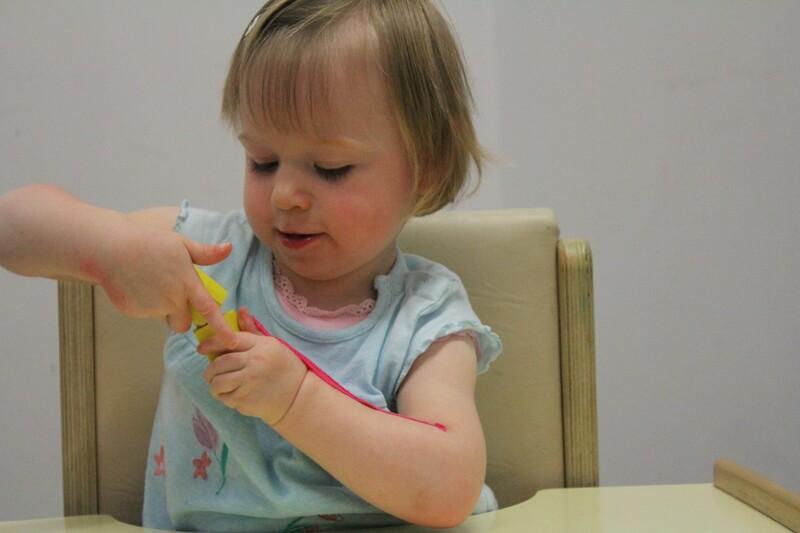 This resulted in Leah becoming more aware from a sensory and motor point of view of her left upper limb and integrating it more in bimanual play. 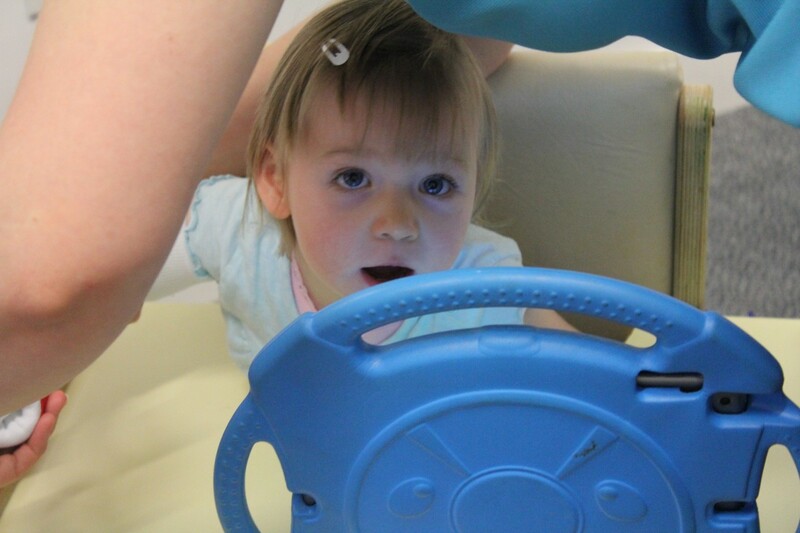 Leah has greater awareness of her left upper limb as demonstrated during sensory play. 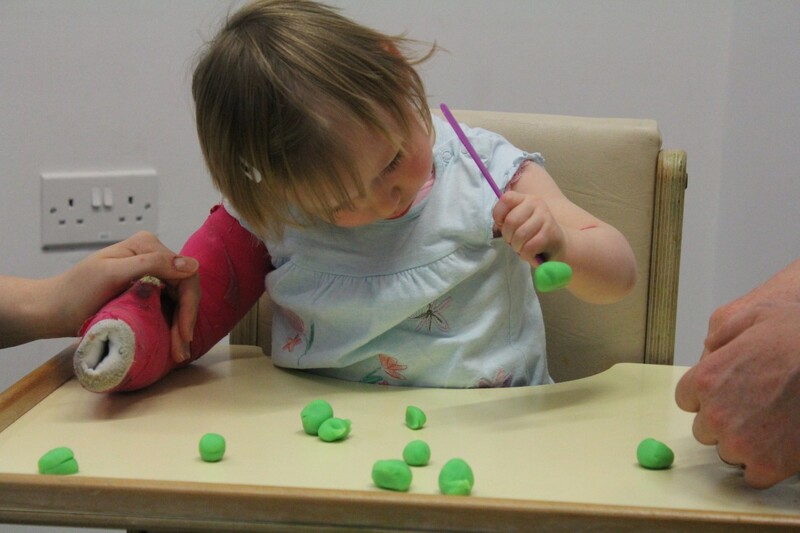 Leah can now pick up a variety of different objects from a therapist's and a table such as playdough. 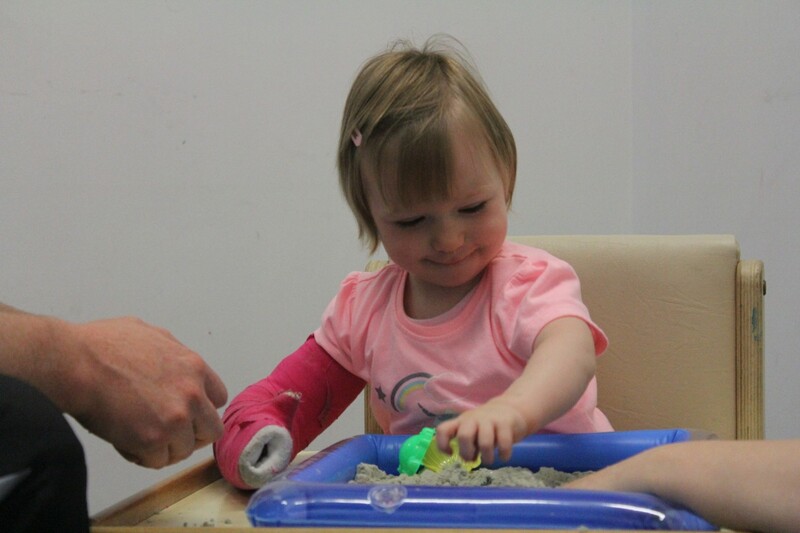 Leah has increased accuracy and coordination enabling her to include her left upper limb in bimanual play. 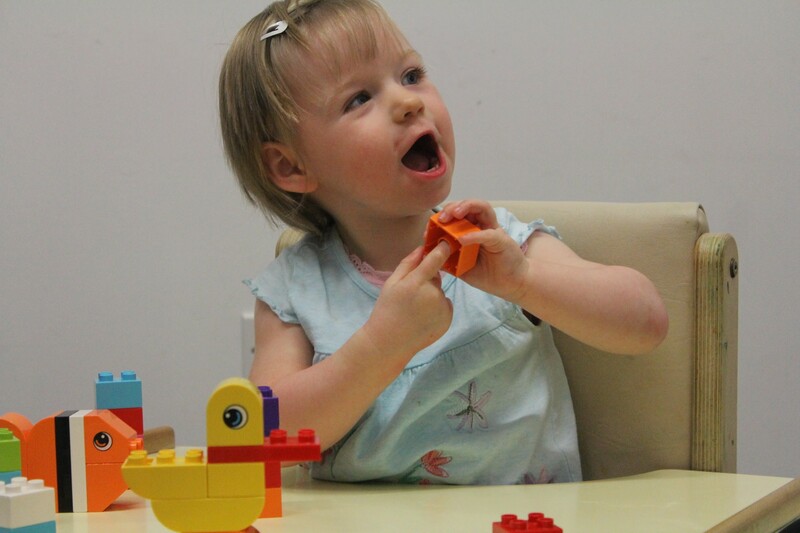 Leah has increased range of movement throughout her left upper limb enabling her to reach during play, for example, popping bubbles or knocking down towers. 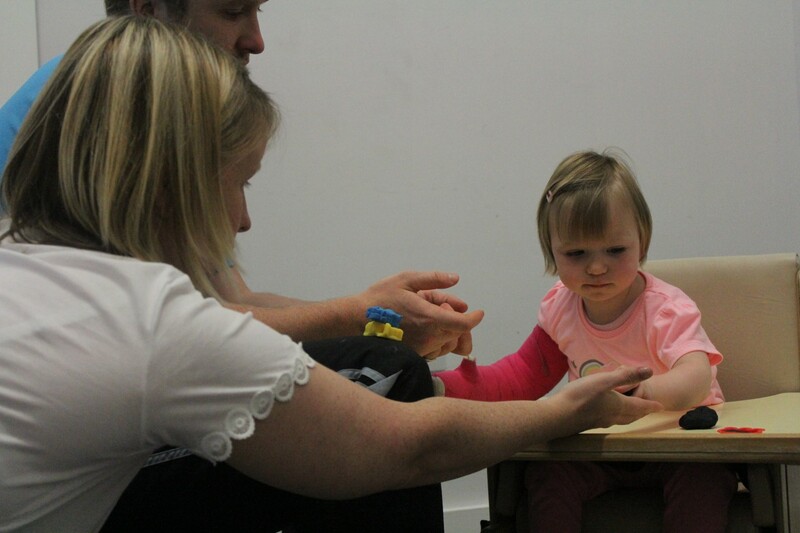 "I wanted to give Leah every possible opportunity for as much independence as possible, that’s why I decided to do CIMT"
“Prior to the programme, I expected Leah to be really difficult to keep in the chair for 3 hours daily but Olivia and Elliot coped really well and Leah really enjoyed the programme, especially the sensory parts of it” - Patricia, Leah's mum. Leah was a pleasure to work with. She was always happy and smiling and made sessions enjoyable for everyone. 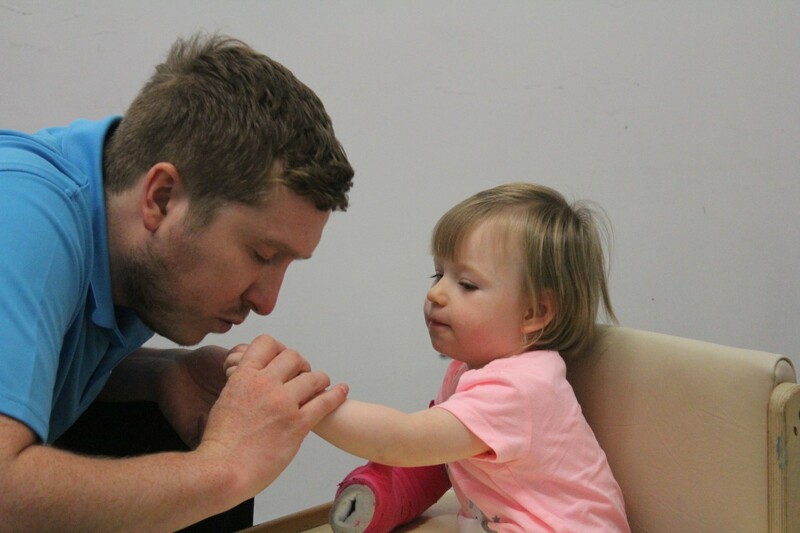 The difference seen in Leah is amazing, she has not only increased her left arm use but has conquered independent walking throughout her CIMT journey. Leah’s speech has also improved throughout CIMT. We are all very proud of Leah’s overall achievements and wish her and her family the best of luck for the future.” - Olivia, Amelia’s therapist.